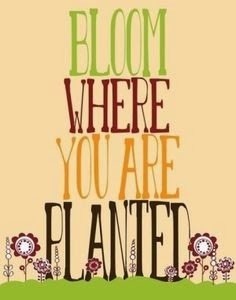 This cute pic, courtesy of a post on Pinterest, is one of our favorite gardening quotes. It's interesting because it can be not only seen as talking about gardening, but I have always looked at it as a good inspirational quote for doing the best I can, where ever life takes us at any moment! Our main gig is the St. Petersburg downtown Saturday Morning Market, and customers always ask us where they can find us (meaning, where is our retail space? ), to which we always answer, "Here!" Yes, in a way, every week, we re-plant ourselves at market, setting up one of the largest Plant Displays of any farmers market around. We love it and we love that so many come out each week to visit the market, visit with us, enjoy our selection and return time and time again. This time of year, we welcome lots of snowbirds and tourist and they bring valuable financial input to our community ! We just love lavender, and this time of year, it just thrives in the cooler air. Lavender does not do well with our summer humidity and we are asked time and time again why lavender struggles over the summer...most customers blame themselves, but truth be told, it's not your fault ! We have 2 kinds of Lavender in stock right now: Lavender Pinnata which has lacy leaves and tall foot spikes of light purple flowers. 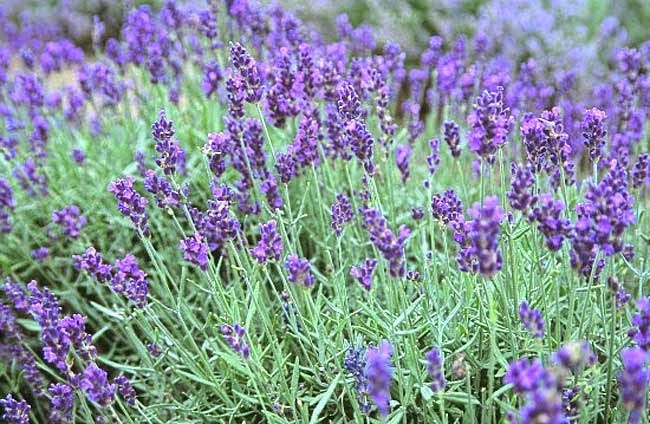 Lavender Serenity has a more robust aromatic leaf, with a shorter stem, but produces a deep purple color. Both are great for having around the garden. This time of year you see lots of new geraniums come out, especially as they do very well over the Fall and Winter months, but we have found you can keep them going year round (and for years), if you spend a bit extra time keeping an eye on them..no over-watering, that's the secret....they love to dry out in between and they really do better long term if you keep them in pots and hanging baskets. 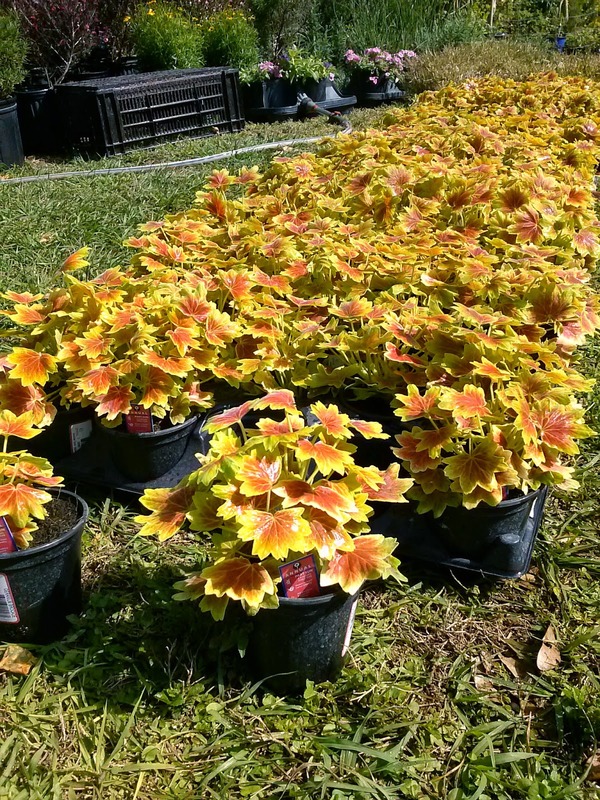 The only Geranium we carry is a special one, called the Vancouver Centennial, or Maple Leaf Geranium. It's a more compact flower, but what makes it very special is the beautiful variegation on the leaves themselves......its looks pretty even when not flowering ! We are back in stock with some herbs, especially the ones we find that love the cooler weather and are low maintenance.....Mint, Dill, Parsley and Thyme. Requiring sun and good moisture, these herbs are great for having on hand for cooking and adding flavor to drinks. The popularity of these 2 types of plants continues to soar....customers love them for their uniqueness and EZ care and they know that we always have fresh, unique ones that you cannot find anywhere else locally. 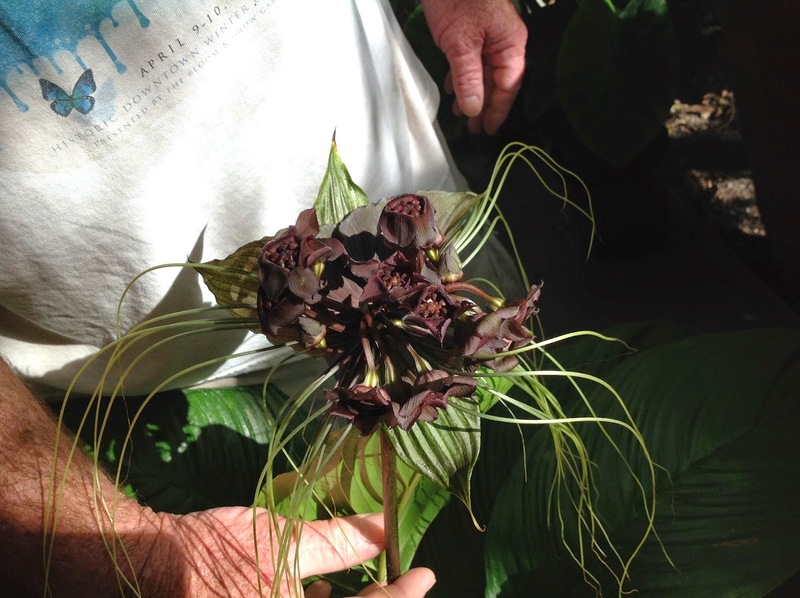 During this past week, we were at our monthly West Coast Bromeliad Society meeting and had a special night with the members of doing a workshop of attaching Air Plants & Bromeliad pups to wood pieces etc. We were able to obtain some unique pieces of drift wood, and along with using Liquid Nails (TM) and wire etc, the members spent the evening having a fun time picking out the wood and plants they wanted and learning about mounting the plants. 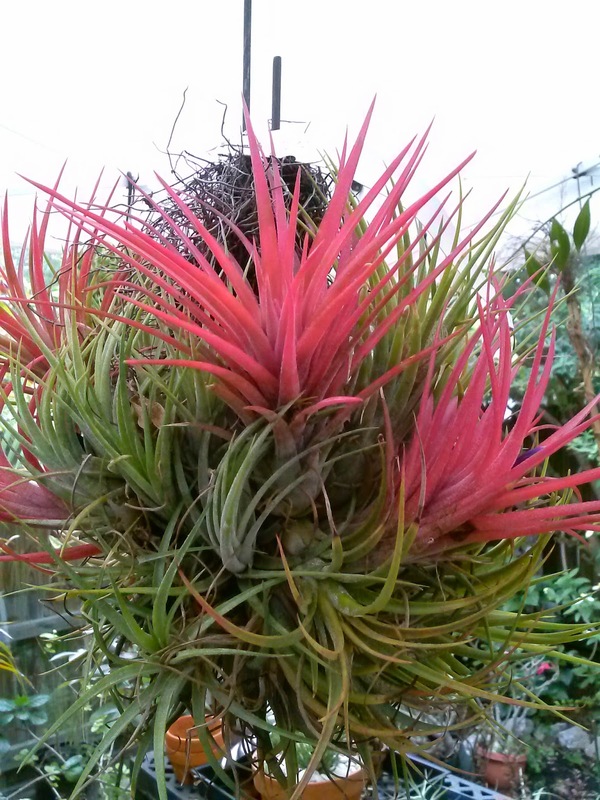 THIS weekend at market, we will have Driftwood for sale and will be happy to show you how to mount your plants, and along with the Tillandsias, we have more Bromeliad pups at reasonable price, so you can make your own. This unusual exotic continues to be popular with our customers and they flew out the booth last weekend, but we have a few left ! I could go on and on, but hopefully, some of this will entice you to come out to market and see us !